Who would win in a fight: Pirates or Ninjas? How about which one would win in an all-day battle of speed and endurance? 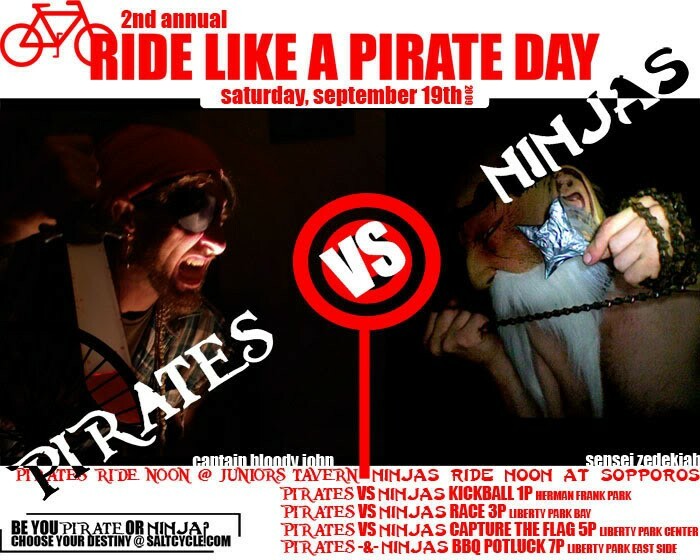 The age-old debate continues with tomorrow’s 2nd Annual Ride Like a Pirate Day. Join the ranks before it's too late at SaltCycle.com or come out to pledge your allegiance to your preferred team. I have my money the ninjas.